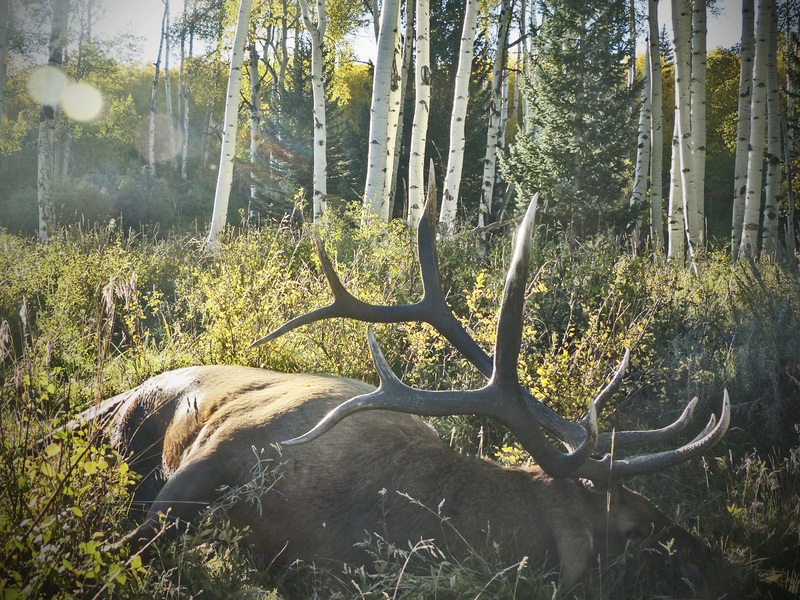 Elk are the ultimate hunting quarry. Combine their size, giant antlers, and in your face vocalizations, and you won’t find much more exciting. But hunting elk is a big undertaking. They are big animals, who can inhabit very uninhabitable country. They are much bigger than a deer, and getting that delicious meat out of the backcountry takes a fair bit of effort. You’ll want to be in hunting shape, or bring along someone, or some livestock that is. Planning a first elk hunt will also take considerable effort. When we look at the best states for hunting elk, we first have to consider our expectations. Most non-resident, public land elk hunts must be drawn through the state game and fish agencies. In some cases, it can take decades to accrue enough points to draw the more coveted tags. In other cases, tags can be acquired over the counter, or in just a few years. Therefore, identifying and considering your expectations, timelines, and abilities are paramount. Are you looking for that bull of a lifetime, or do you want an opportunity to hunt bulls more often and experience the hunt (this usually means compromising some trophy potential)? In this article we’ll visit the western elk states and try to break them down to decide which is the best. We will steer clear of giving Elk hunting states a defined ranking, rather — we’ll touch base on each state (from a non-resident perspective) and you can decide which one best suits your needs. Arizona has BIG bulls, but doesn’t have much for OTC opportunities for elk hunting, but for the amount of habitat and demand for elk that exists in the state, I think they do a good job of managing the hunts and seasons. You’ll look to spend 3-7 points for a decent archery hunt. But these can be very good hunts. Of course the top tier units and rifle hunts will be a longer wait. With a little patience, you will have opportunities to harvest some very nice bulls in Arizona. Tule elk are only found in California, so if you want one– you’ll have to hunt them there. It’s a very hard tag to acquire. California is the only state that has 3 elk species to hunt and hunter harvest success is pretty high. That being said, tag numbers are extremely limited. The reason Colorado sits at the top of the list is because it provides both “trophy” and “opportunity” hunts. Colorado has the most elk of any state in the world, with opportunities to hunt in areas where you can find BIG bulls over 350 inches. There are also a large number of units that hold elk that can be hunted with an over the counter tag every year. 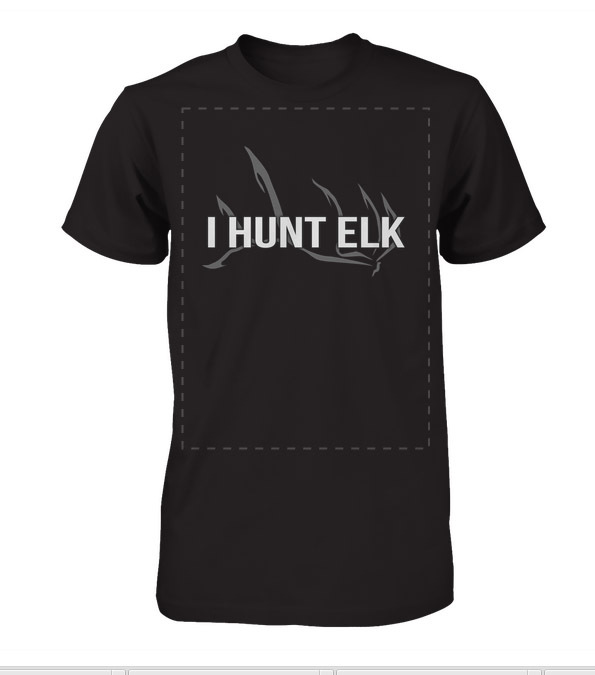 Which is great for those who want to put in for a trophy hunt, yet still hunt elk every year. If you want to hunt big bulls, but don’t want to wait — Colorado also has opportunities to purchase landowner tags to access private and public lands. A few years ago, I probably wouldn’t have recommended Idaho as a very good elk state. Wolves had decimated some of the largest herds in the state. But, Idaho still holds a lot of elk with some exceptional elk hunts. Much like Colorado and Wyoming, there’s opportunity to hunt, but Idaho also has a few units that have been pumping out some monster bulls over the past few years. Do a little bit of homework and you can find areas of the state that have outstanding elk hunting. Nevada is a desert — there are no elk in Nevada….wrong. Nevada has good elk hunting. Over the past few years Nevada has been producing some great bulls. They use a squared preference point system with no points reserved for max point holders, so you’re technically never guaranteed a tag, but you also have decent odds in some units once you reach 6-8 points. If you draw some of the top units in the state, you may just have a chance to kill a 360+ bull. Montana is a great Elk state. Sure they have a few wolves around as well, but Montana does a good job of keeping under the radar. Tag prices have increased recently though, so expect to open your wallet for a chance to hunt. This price increase has made tags a bit more available. Montana has a good mix of big bull areas and opportunity hunts as well. Do your homework before you apply, and you should have a very good hunt. New Mexico has some very good elk hunting, and good opportunities to purchase landowner tags. But New Mexico also has some great public lands as well. As with most elk states, the best units will take a while to draw, but if you are willing to spend a few thousand on landowner tags (some of which allow you to hunt the public land as well) you can hunt for big bulls often. Oregon is similar to Utah in that there are some outstanding units that take a long time to draw, and some areas that are harder hunting that are easier to get tags. Once again, do your homework, decide if you want to wait to draw a great tag, hunt a tougher unit, or just apply in another state. Roosevelt hunts can be challenging timber hunts, but not many states provide opportunity to kill a Rosey. Utah isn’t quite what it was 10 years ago. But it is still one of the best states for BIG bulls. But you’ll have to wait your turn, unless you’re lucky. The southern end of the state has been producing the biggest bulls, and you have a chance to hunt bulls during the rut with a rifle! Harvest success rates are extremely high on these hunts, but tag numbers are very limited. Archery hunters should keep in mind that seasons are early and mostly pre-rut. You’ll probably be waiting 10+ years just to get an archery tag though. 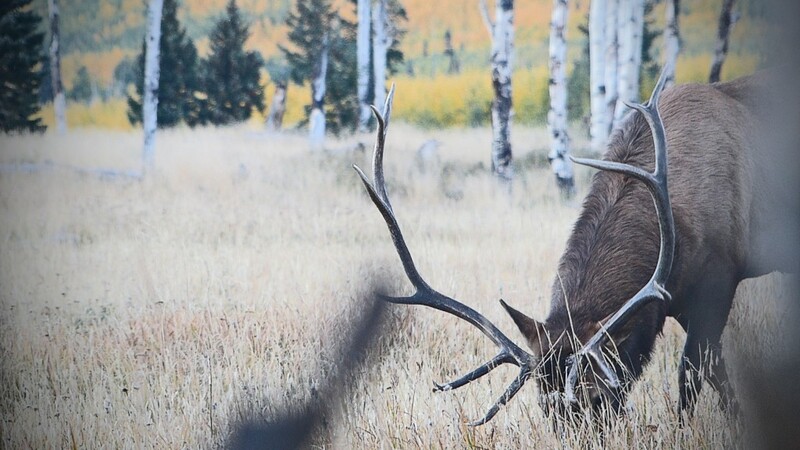 The OTC units in Utah are pretty crowded, but you can find a bull here and there to hunt. Washington produces a giant every now and then, although it isn’t really known as a great elk state. Look to the southeast part of the state to find the biggest bulls. Washington also has some opportunity to hunt Roosevelt Elk, so take a look at Washington and Oregon if a Roosevelt bull is on your bucket list. Wyoming also provides both trophy quality AND opportunity to hunters. You can play the points game and wait for a unit that has a good chance at providing that 350 + inch bull, or you can hunt every year, or every other year in the general hunt areas and have still see a lot of elk. Your chances at killing a monster are much more slim, but you will have an opportunity to see and kill mature bulls in the 300″ range. You’ll find very good elk hunting in a few other states like Kentucky, Nebraska, and Pennsylvania — along with a few other states. These tags are very limited without much public land. Keep tabs on the eastern states, as elk are recovering across much of their historic range, thanks to re-introduction and herd management. So which state is best for you? Leave us a comment below and let us know about your upcoming elk hunting plans, or ask us a question! Sage Sam is also right with his numbers…biggest elk herd in the world sits in the NW corner of Colorado. They are there, and there is opportunity to hunt more than one at a time in many instances because of the numbers. 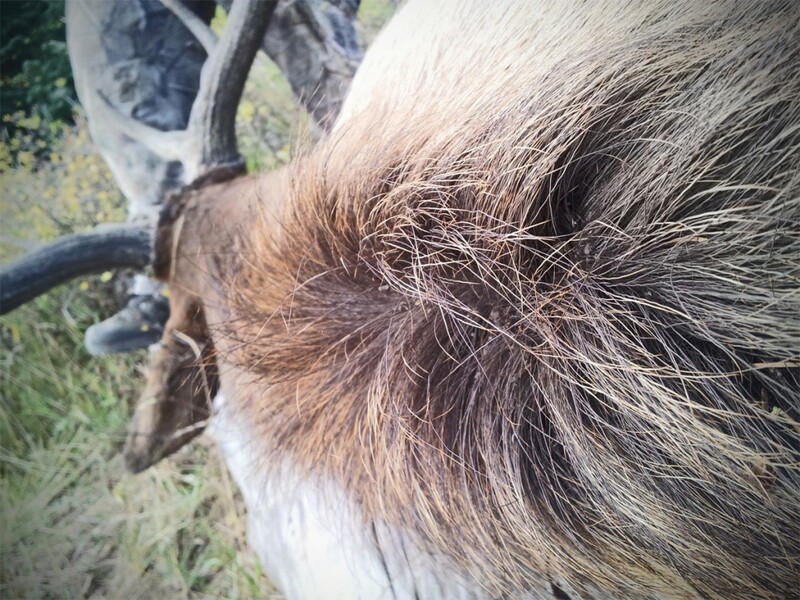 Hunters are limited to one bull tag, but can often get a second (and sometimes a third if they want…) elk tag. Hunting season is on the horizon – good luck to all! !